"Some nice restaurants along the beach near the hotel for piz..."
Have a question for Dayunan Sabang Tourist Inn? "Hotel right opposite the boats loading for river cruise and next to shops and eateries, the posh places are at the other end of the beach." 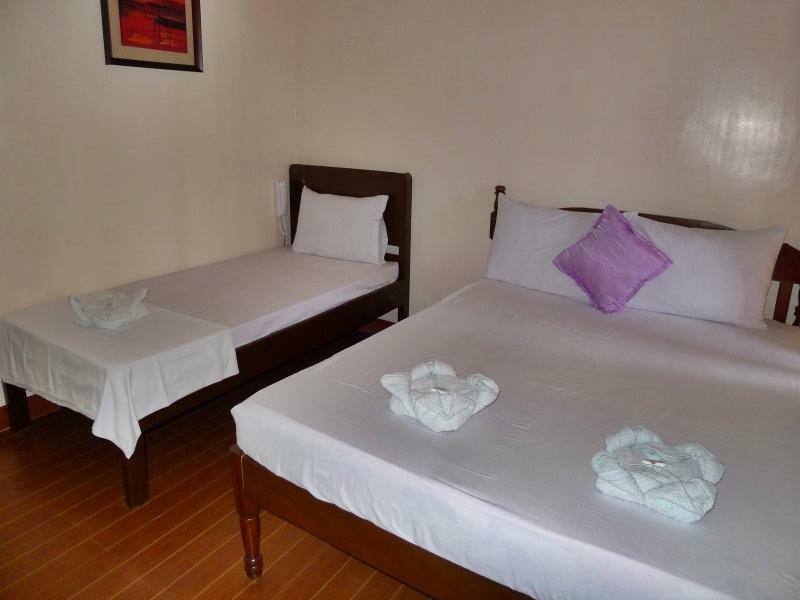 "The Dayunan Tourist Inn is a great choice for a short stay in Sabang." "The room was clean enough and had AC." 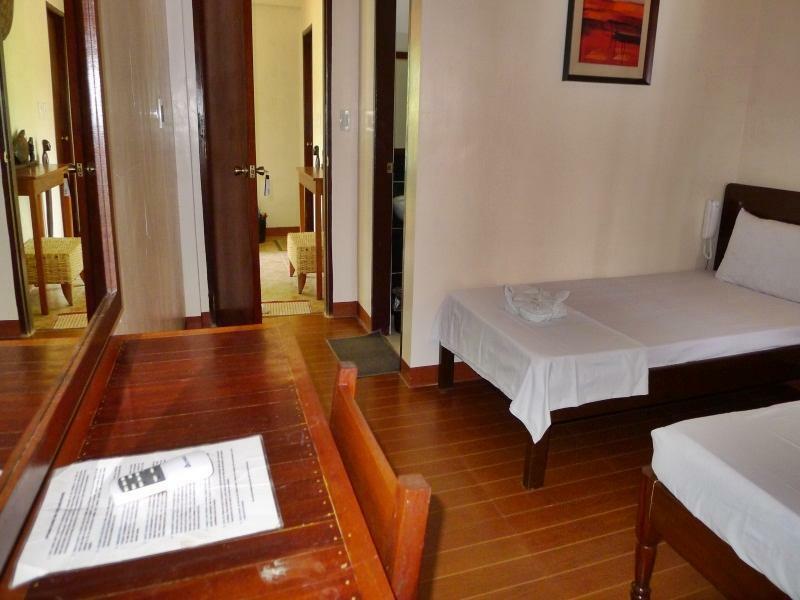 If what you're looking for is a conveniently located hotel in Palawan, look no further than Dayunan Sabang Tourist Inn. From here, guests can enjoy easy access to all that the lively city has to offer. For sightseeing options and local attractions, one need not look far as the hotel enjoys close proximity to Sabang Pier, Sabang Beach, Limestone Mountain. At Dayunan Sabang Tourist Inn, the excellent service and superior facilities make for an unforgettable stay. This hotel offers numerous on-site facilities to satisfy even the most discerning guest. Experience high quality room facilities during your stay here. Some rooms include television LCD/plasma screen, linens, mirror, towels, non smoking rooms, provided to help guests recharge after a long day. The hotel offers fantastic facilities, including massage, garden, to help you unwind after an action-packed day in the city. Discover an engaging blend of professional service and a wide array of features at Dayunan Sabang Tourist Inn. "Great location for going on the underground river tour - ask..."
Accidental double booking due to bad network connections in all of Palawan. Still fighting for my money back which would be obvious to everyone but Agoda. Only one room avaliable at the time but somehow we paid for two rooms. We booked standard room for 1 night because wanted to go for Under Ground River Tour (UGRT) the Next morning. The location of the hotel is very strategic, just opposite the tourism office. I regret to book the UGRT tour through the hotel, the receptionist asked us to wait at the lobby before 8.00 am but until 8.20 am she was not at the office, until we told the other staff we were going to cancel the tour then she took another 15 minutes to show her face. For those stayed over night in Sabang should not have problem to do this tour DIY. You can go to the tourism office at Sabang Pier before 8.00 am to get the permit , pay the terminal and the boat fees, definately very much cheaper and can start the Tour earlier. Overall the room quite clean and comfortable if your luggage is small. The cons are the electricity supply from 6.00 pm until about 7.00 am. There is no breakfast and no drinking water. Dont understand bad raiting for that hotel. In middle class accomodation in Sabang its the best option. Otherwise you can stay in crap bungalows around or fancy, but very expensive resorts. Miss just hot shower. Definitelly reccomend it. After reading some horrific reviews we were really not looking forward to our stay here but it was perfectly fine. The room was small but with a double bed and private toilet/shower room. The room was clean enough and had AC. There is no electricity from 6AM to 6PM but we were on vacation so didn't spend the days in the room. The only time we saw any staff was during check in which was quick and painless. Location was amazing, Sabang is beautiful. The only downside was no hot water, there is no option to adjust the temperature on the shower and the weather wasn't that hot when we were there but we managed. On the other hand, I would absolutely NOT recommend Agoda to book hotels. Totally useless service! Pretty good for the price. Aircon wasn't always working though, occasional brownouts. Convenient location in Sabang town centre. Pretty decent for the price. Aircon wasn't always working though, occasional brownouts. Convenient location in Sabang town centre. We stayed in Sabang for one night to visit Underground river. Dayunan hotel is situated in front of the pier. Room isn't very large, but clean. There is air condition in the room, but only since 16:00 till 07:00, as there is not electricity in Sabang. I left my bag at the nearby canteen and we left for the city. More than 30km away, i realize i left my bag and i only have the number of Dayunan. Fortunately, Dayunan has my bag as the canteen people turned it over to them. I was impressed by their honesty!!! The bag contains quite some cash and expensive dslr camera. They are also polite and has even waited for us even when we usually came very late at night. Great location in front of the boat departure to underground river. Rooms are nice and clean, but air conditioning is not working much. No electricity in the night. Staff was kind and helpful. Wifi signal a bit poor. No hot water shower. Electricity from 6pm to 6am only (generator). But then there is no regular electricity in Sabang. Friendly staff who did their best to accommodate our many requests. Great location for going on the underground river tour - ask the staff for help in securing the permits, boat etc - we DIYed instead of getting a package tour. This hotel was much further out of town than we realized. It was difficult to get transportation to and from the hotel. It is more of a hostel style really. You have a private room but share a bathroom. There was a restaurant but we never saw it open or anyone in it. It is a very quiet place if you want somewhere to relax. Near beach, near attractions, near to transport. At check in we where greeted by the receptionist a young guy about 20 years. Actually we where not greeted in fact he didn't even speak one word. He took the hotel voucher and the only time he looked up from the TV was to give us the keys he didn't even point out the direction of the room. When we got to the room it was reasonably clean and had a nice balcony. I went to turn on the light and then found out there is no electric in the daytime only from 6pm-6am. I then went to use the shower only to find there was no water. I went to see the receptionist and he told me there was a problem with the water and it should be back on later. after asking he did bring us some buckets of cold water to wash with. Overall the hotel was not bad despite the obvious problems. The main issue i had was the attitude of the guy at reception, i honestly dont think i have ever seen a hotel member of staff that was so rude that they cant even lift their head to look at you when you talk to them. He just laid on the sofa and watched Tv. I hope he was the owners son and doing his duty for free because you wouldn't want to pay him. If anybody from the Hotel reads this review please get rid of that member of staff because he really is not doing you or your business any good. No breakfast at all. There are no deluxe rooms. Even though the lady who runs the place charges customers more money, all 8 rooms are the same. There is only electricity at night. If you want hot water you must shower at night. Not worth the rate, over priced and over rated. An excellent choice if you you do not want to stay in luxury resorts or cheep beach huts. The rooms upstairs has view over the Sabang pier which is across the street. Th location is very central and you have all the services that Sabang offers literally around the corner. You may order breakfast in the reception. Near restaurants, beaches and the Sabang underground river jetty. it is conveniently located in village whereby restaurants, beaches, jetty are within a walking distance. the staff is very nice. the manager even helped us to queue up to collect our permit so we don't have to stand in line for so long. it's clean, cozy and quite spacious for four people to live in. 1st time we turned the air conditioning on thousands of ants sprayed out onto us and the floor. Girl let us change rooms reluctantly. After that the staff were outrageously rude. Not smiling. Making life difficult for us and just giving us attitude. It’s not our fault we wanted air con without ants with the heat of the Philippines. Wouldn’t recommend to anyone. Much nicer places Along the beach.